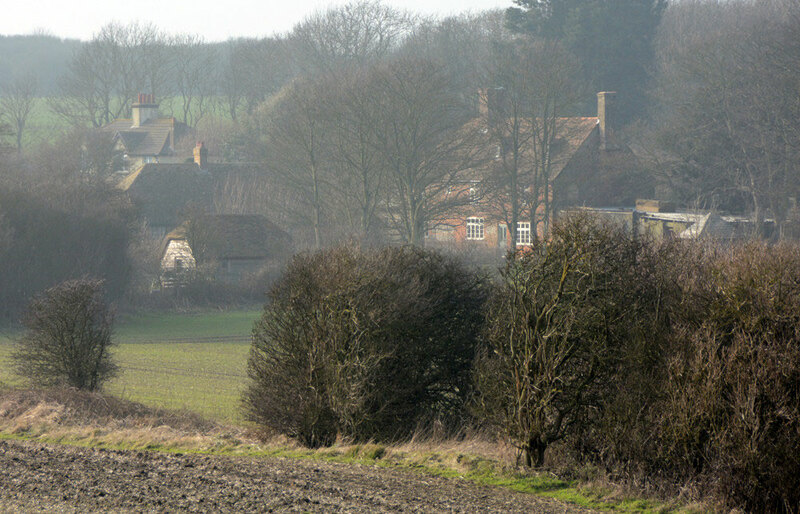 Wanstone Farm in the cold misty air of January day, St Magarets-at-Cliffe. 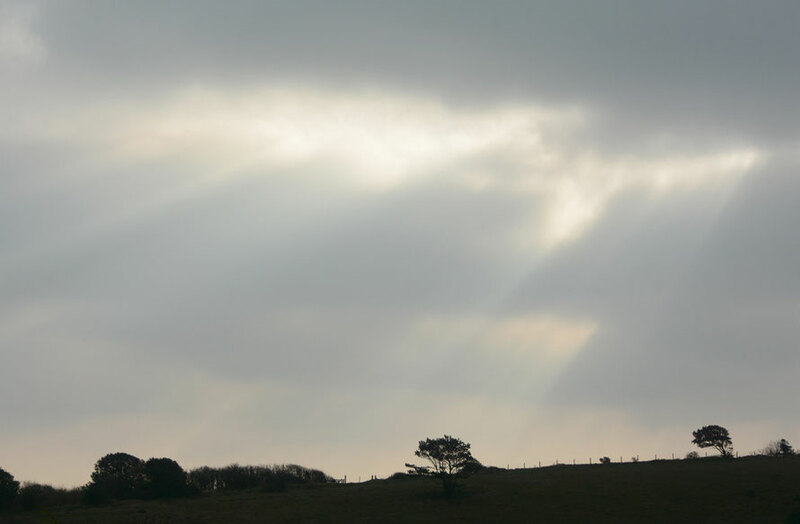 Morning rays and clouds over the South Foreland. 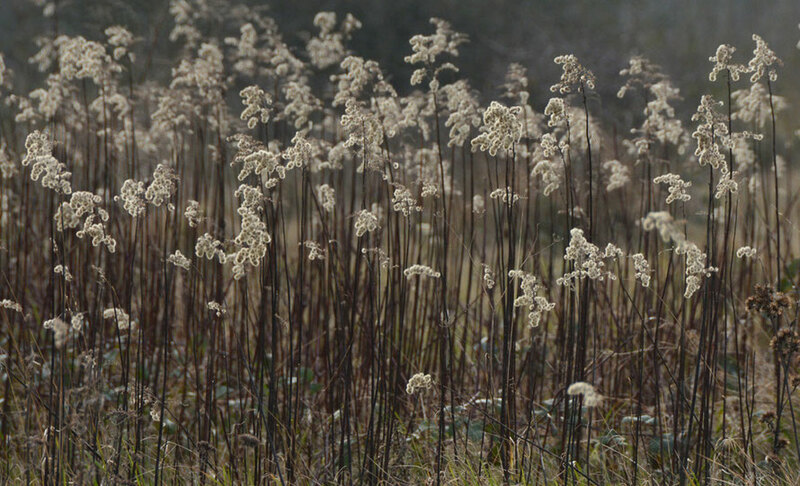 Seed heads of escaped Golden Rod near the site of the IIWW South Foreland battery of three 9 inch guns. 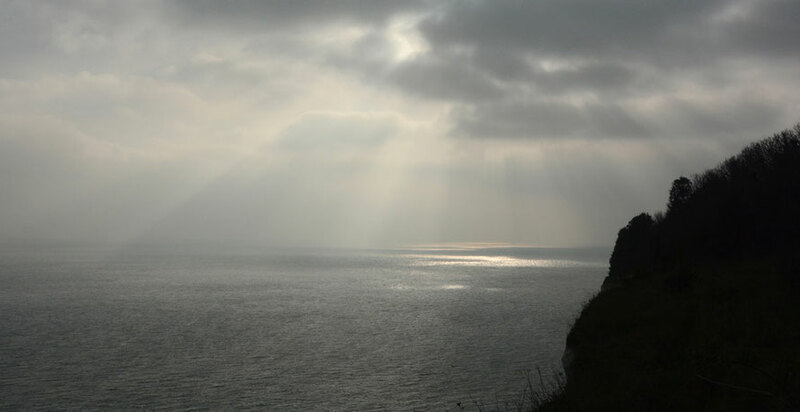 View from Windmill Down of the Dover Patrol Monument and the old Coastguard station at St Margaret's. 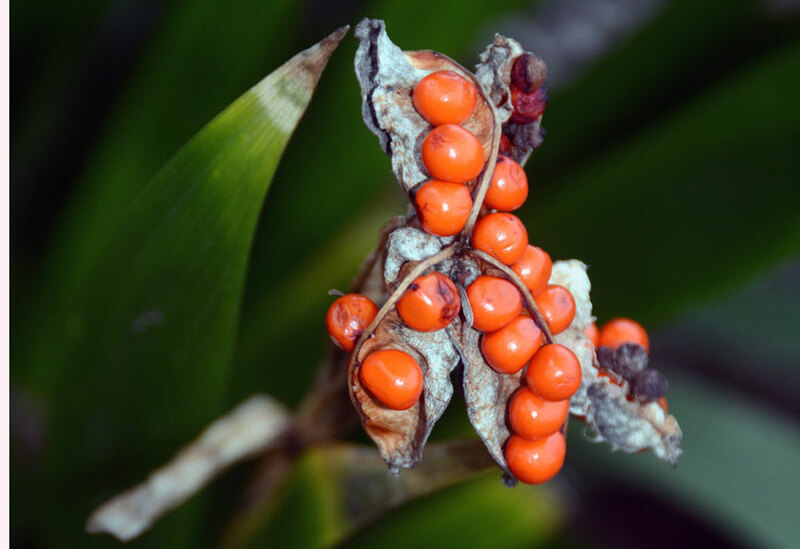 The berries of one of the UK's two native Iris: this one is the Iris foetidissima (Stinking iris, gladdon, Gladwin iris, roast-beef plant, stinking gladwin) that grows and spreads in downland wood and scrub and our garden. The other is the Yellow Iris. Afternoon broken sunlight over the Dover Strait. 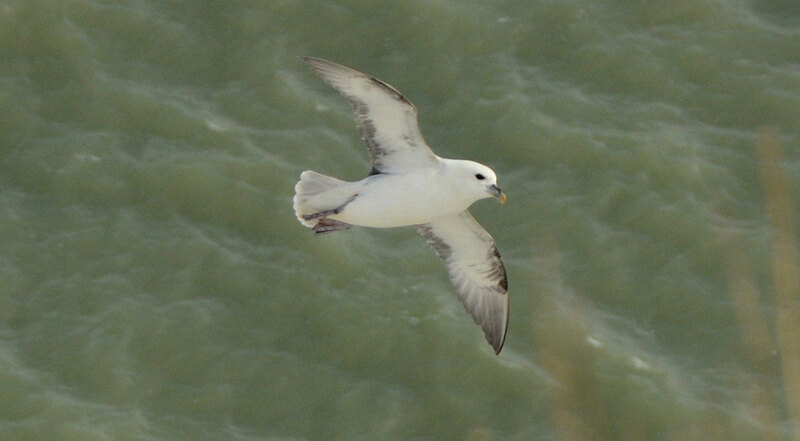 Fulmar returning to its chalk cliff nesting site at the South Foreland. 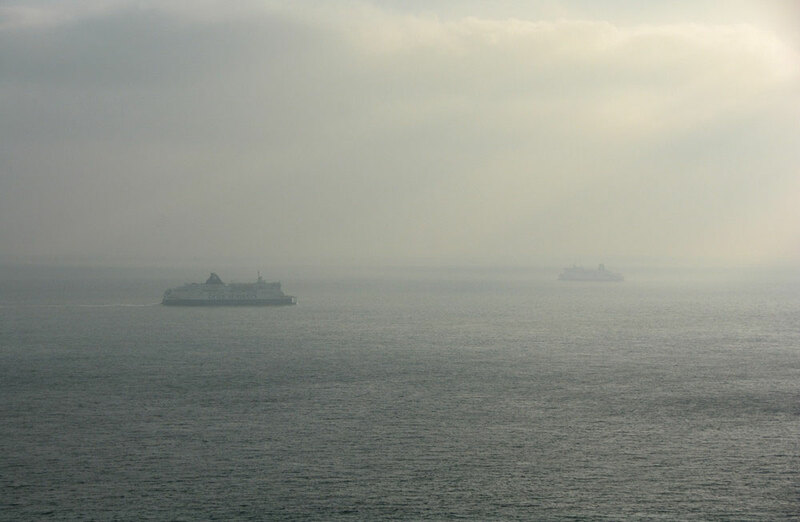 Like ships passing in the afternoon mist: cross channel ferries for Calais and Dunkerque. 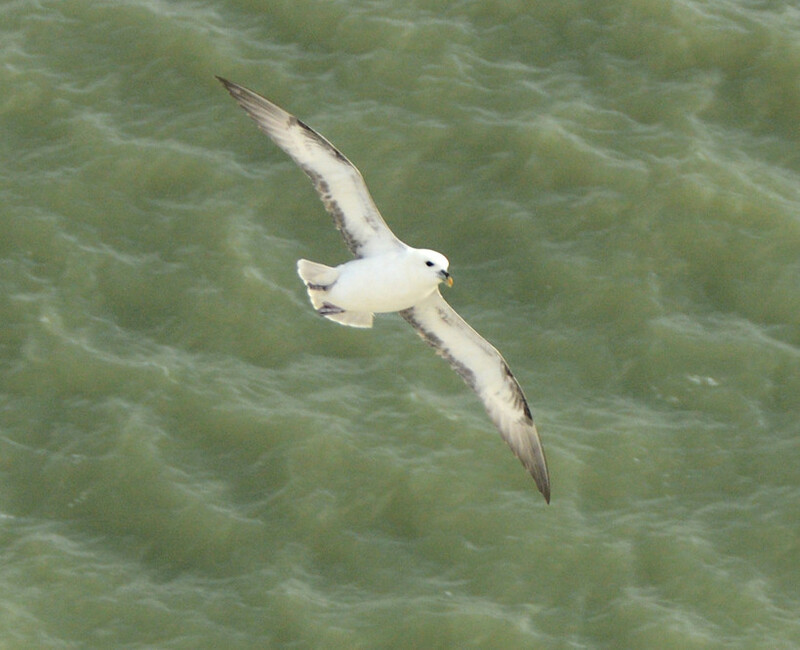 Fulmar using the updrats from the chalk cliffs for spectacular gliding. 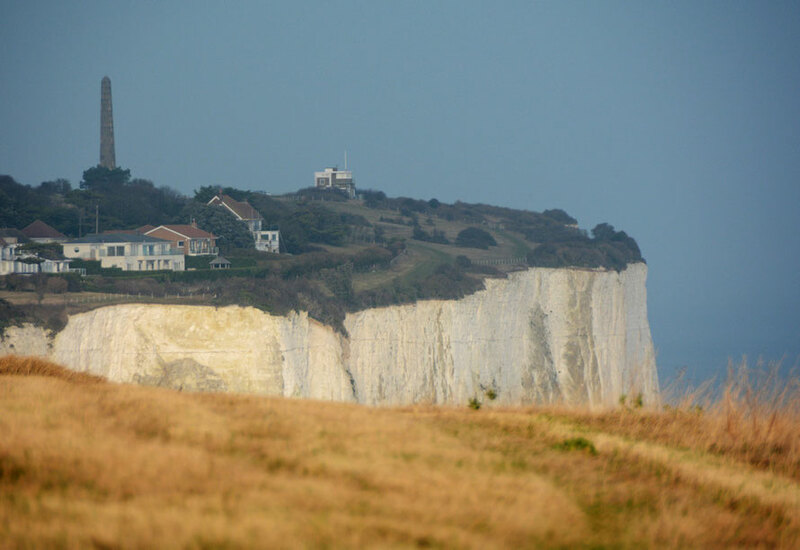 The North Downs end here. 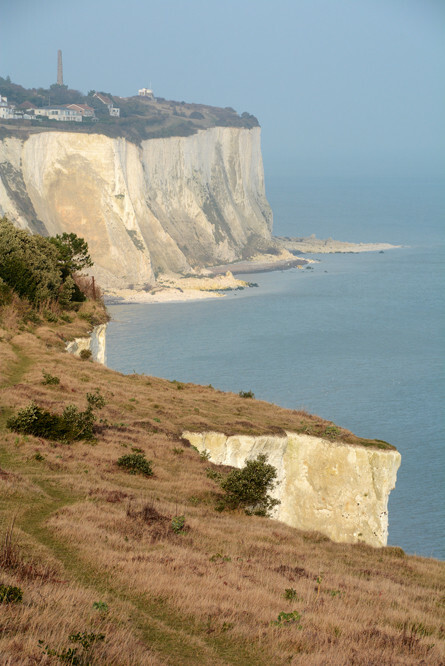 80 million year old chalk beds at St Margarets Bay in pale winter sun. 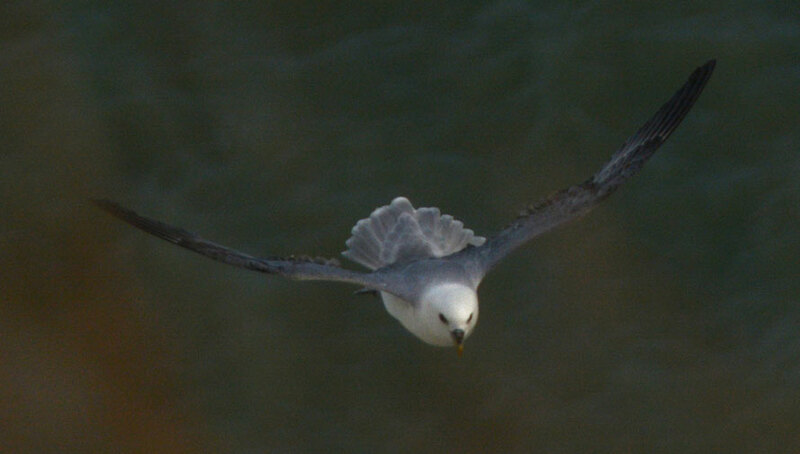 Air brakes: Fulmar approaching nesting site at full speed. 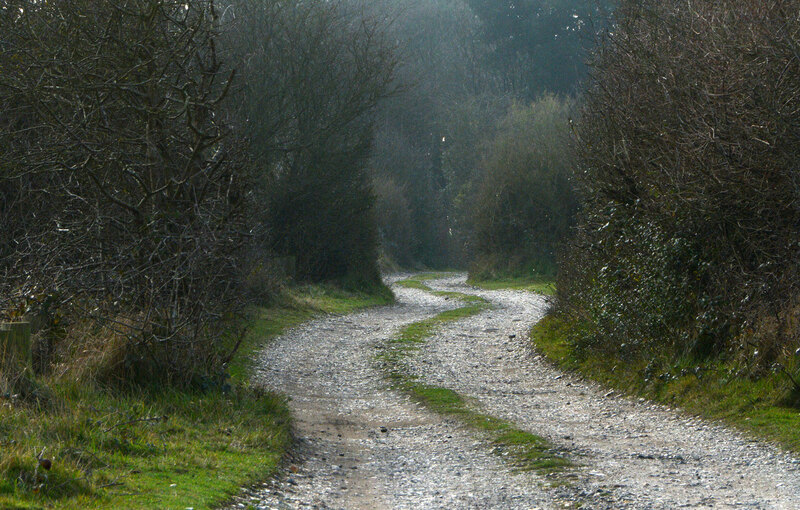 Flint Road: today's blip at FergusMurray12 at Blipfoto.